Not everyone likes green vegetables, but their nutritional value is known to everyone. 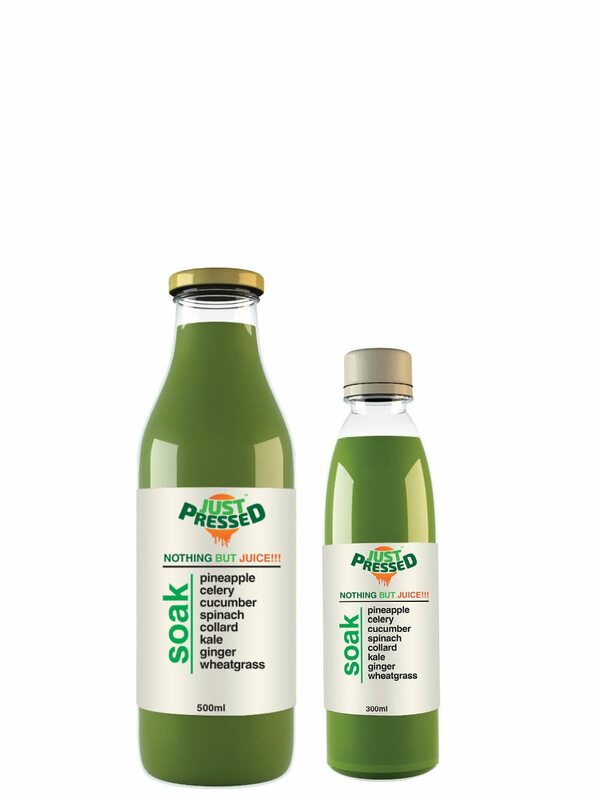 So for fussy eaters as well as those with a hectic lifestyle, who are running short on the good effects of green vegetables, JustPressed Soak is nothing short of a Godsend! Packed with the power of Pineapple, Celery, Cucumber, Spinach, Collard, Kale, Lemon, Ginger and Wheatgrass, you can never miss your daily greens with this drink! Each sip will make you glow from within and put a sparkle in your eyes, while making you stronger and resilient! A great source of antioxidants and essential vitamins, this is an excellent hydrator! So what are you waiting for?! Order Justpressed Soak online from FoodFeasta.com and we’ll deliver it right to your doorstep.